Expanding to four cars for the OTR SuperSprint will help fast-track Brad Jones Racing’s learning of the new Bend Motorsport Park circuit, says wildcard driver Macauley Jones. The 23-year-old is set to make his second wildcard appearance of the year at Tailem Bend on August 24-26, following an initial outing at Hidden Valley. Jones says the need for the team to learn the new circuit was a factor in selecting the OTR SuperSprint for his second wildcard. 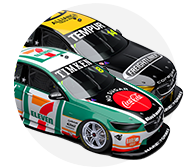 Dunlop Super2 Series drivers can choose up to two events out of Winton, Hidden Valley, Queensland Raceway and Tailem Bend to compete as a wildcard. “[The wildcard] gives us a bit more direction with what we’re doing set-up wise, giving the guys another different avenue in which to try different things,” Jones told Supercars.com. “It is crucial when you’re at a new circuit figuring out what’s the best way to go. Being able to have that extra data and an extra set of eyes, I think it’ll work out best for us. While fellow Super2 driver Kurt Kostecki will be in a VF model Commodore at The Bend, Jones has a ZB at his disposal, with BJR having upgraded Tim Slade’s 2017 car. Jones had limited experience with the newer model prior to Hidden Valley, but says the transition between cars is straightforward. “It really doesn’t feel that much different,” he said, having qualified 25th on both days in Darwin, before finishing as the last classified runner on both occasions. “There are some subtle things with set-up and aerodynamics, but generally it’s got the same traits in the car and it varies track-to-track. 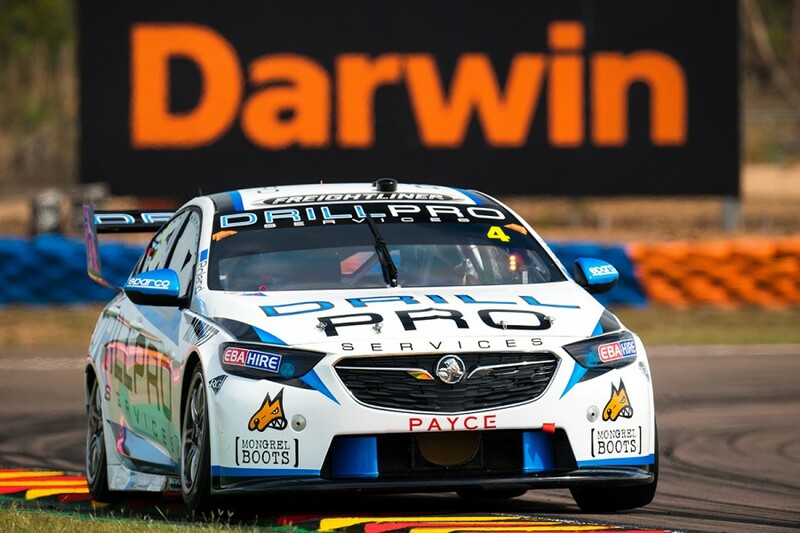 “Not having driven the VF in Darwin for 12 months, it’s hard to compare exactly. “The seat and steering wheel are the same from one car to the other, anyway, so comfort-wise it feels identical. Having thoroughly analysed his Hidden Valley performance, Jones hopes racing on the hard tyre – the same as he uses in Super2 – at Tailem Bend will make life easier. “We’ve gone through and assessed a lot of data and footage and made sure we made notes of everything that needs improvement,” he said. “Whether that’s the little time you can find in pitstops, getting square in the box, leaving the box, every little thing, as well as knowing what I want from the car with these tyres. 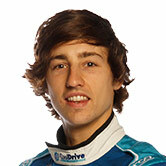 “It will be interesting going to Tailem Bend with the hard tyre, because it’s something I’m a bit more familiar with. 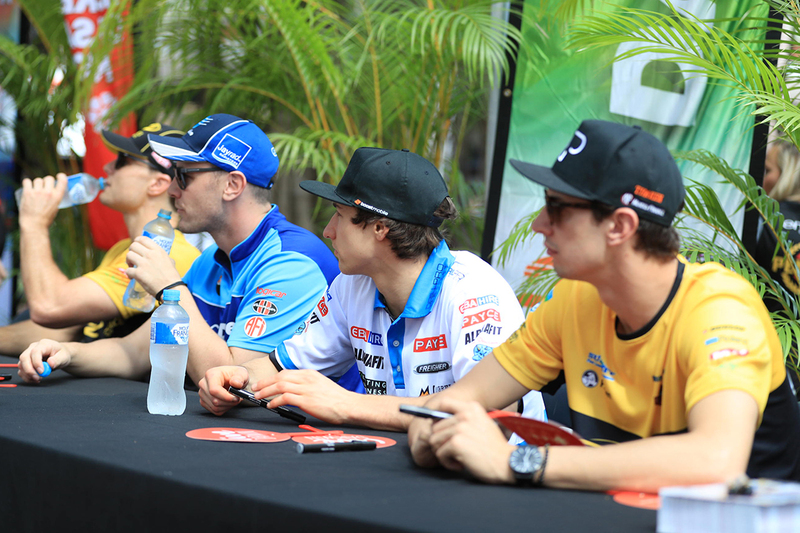 Jones’ two wildcards are part of his lead-up to the PIRTEK Enduro Cup, where he’ll partner Nick Percat in BJR’s #8 entry for a second straight year.